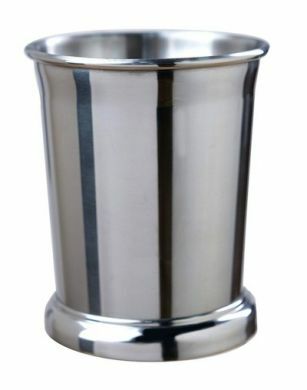 Stainless Steel Julep Cup perfect for enjoying your mint julep in traditional style! This very stylish cup looks great with colourful cocktails giving a very old school unique look. Make your drinks stand out at parties and events, would be ideal for outdoor events.